We RECEIVE 100’S OF EMAILS AND DIRECT MESSAGES DAILY! Although we’d like to reply to as many as we possibly can; as active coaches, consultants and entrepreneurs we also have other things that we need to take care of. So we can only spend an hour tops per day on email. If you would like to get in touch, please use the information provided below to contact us based on your area of interest. If you are NOT a brand, please do not use this form (keep going below). If you’re part of the “Secret” Pkjulesworld family and want to say hi, ask a question or let us know how we’ve inspired you in some way, We do love and appreciate our supporters (like you) and will do our best to reply to your email and send some cuber hugs your way. Our team is amazing! They will make sure you are happy and taken care of 100%! If they can’t help you for any reason they’ll have me Julie Syl respond to you. We’ve been fortunate enough to be featured by some of the world’s top blogging experts, unfortunately we cannot personally respond to everyone for feedback on their blog post, social media profile, landing page, Facebook Ads, email marketing strategy, sales funnel, etc. Again, we love helping people improve their blog/brand but we get SO many “can you check out my blog” type requests that we wouldn’t be able to get anything done or serve our client needs if we went through and responded to them all. Thank you for being so understanding! 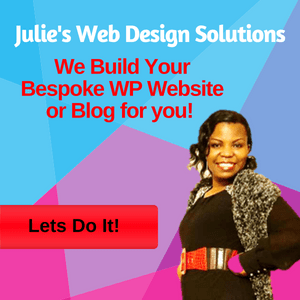 We love supporting new and upcoming bloggers but Pkjulesworld is a personal blog so we don’t accept guest posts from people we do not know, like or trust. You have to be a long term fan, who has consistently shared, liked, commented on our content and shown a true love for what we share. Being personally known by Team Pkjulesworld would be a huge help! Okay, so, you reckon you dont fit in any of the above categories? And you have Checked out our MEDIA KIT, yes yes? Then Go right ahead and fill in the Form below. We try our best to respond to all sorts of messages BUT pretty please keep it short and to the point. If your email is more than one short paragraph, You wont receive a response.